Gr8jobsng the no.1 recruitment E-commerce platform powered by U-connect-ng is coming to a center close to you. 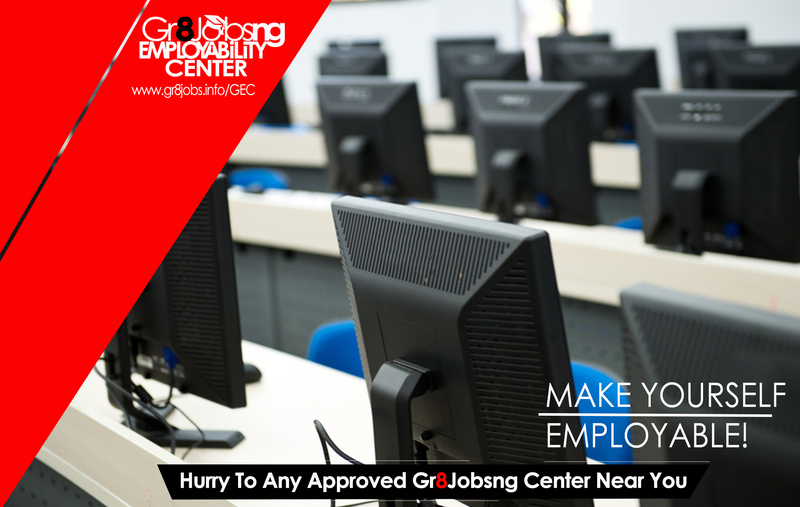 GECs are computer centers near you where you can access our premium employability services, attend trainings and seminars which gives you the necessary skills you need to land an awesome job. We are regarded as the No.1 recruitment platform not just for the jobs we offer Nigerians but also for the number of graduates we have been able to make Job ready. We are bringing these services to a center close to you. So what are you waiting for, Visit a GEC today to access our awesome services..
Visit www.gr8jobs.info/GEC to see the GECs close to you.